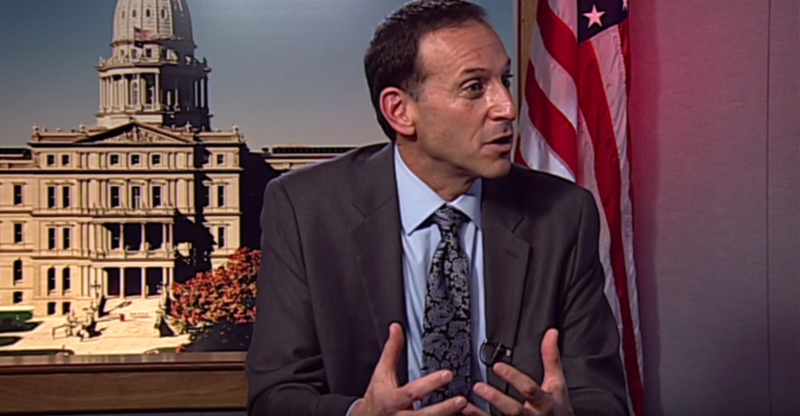 Check out and share this info packed conversation between nationally recognized auto insurance expert Doug Heller and State Rep. Sherry Gay-Dagnogo,where they touch on everything from file and use, rates in other states, and the impact of non-driving related factors like gender. Thank you Sherry for continuing to fight for lower rates, and for protecting care for the injured! After watching, head to https://www.reducemiratesnow.com/ and share your ideas on reducing rates. Let us know your ideas using #miautoinsurancepromise! It is certainly disappointing to learn that the House will try to ram auto no-fault reform through during the last few days of the lame duck session. Working on such a complicated and controversial issue in which key stakeholders have not seen drafts nor been approached for input is irresponsible at best. However, this session as been full of surprises. YOUR help is needed! Please contact your House and Senate member to express your concern and opposition to this last minute attempt to ram through legislation. You need to act before 5:00 PM on Monday, December 17th to ensure your voice is heard. Click on the link provided here to send an email. You are encouraged to change the subject line of the email and add your comments to improve the likelihood your email will be opened and read. 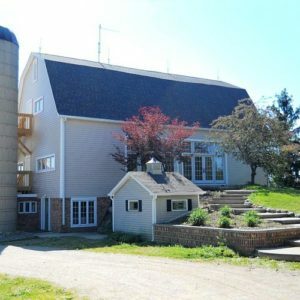 For nearly 30 years Eisenhower Center has proudly searched for unique and innovative ways to approach rehabilitation. One of our approaches was to open a 68 acre hobby farm as a vocational rehabilitation and residential/day-treatment program in Manchester, Michigan. As a part of this program (which includes a fully stocked wood-shop which would make even the most experienced carpenter envious), we’ve tried to add-on new and exciting vocational opportunities for our clients, including our recently opened Etsy shop. MEC Markets is vocational rehabilitation for the 21st century. This website, the products listed there, and the entire back-end shipping process will be managed with the assistance of our clients. 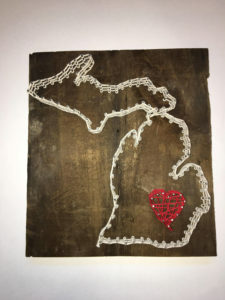 So if you’re in the market for some beautiful, hand-crafted, and one of a kind gifts for your loved ones (like the barn wood string art pictured here), please check out our Etsy shop here: https://www.etsy.com/shop/MECMarkets. Not only will your loved ones be ecstatic at the gift, you’ll both know you supported a good cause. The Fall Conference offers over 30 educational presentations approved for continuing education units. Those engaged in therapies with persons recovering from injury, as well as, caregivers and persons with brain injury will be in attendance! Visit over 150 Exhibit Booths to gain access to valuable information and services. Amy Blankson, bestselling author of The Future of Happiness, is a member of the UN Global Happiness Council, Fellow of the World Innovation Organization, TEDx speaker, a regular contributor for Forbes on Women, Technology, and Leadership, and a featured professor in Oprah’s Happiness course. She currently works with the IEEE to create standards for well-being in the creation of artificial intelligence and emotion awareness. Since graduating from Harvard College and Yale’s School of Management, Amy has professionally focused on understanding cultivating happiness in a digital era. Chris Ulmer is the guiding force behind the Special Books by the Special Kids (SBSK) blog. A Penn State grad, Chris was student teaching and fell in love with the intelligence and humor displayed by his special ed students. After six months of sharing Facebook videos featuring those students, SBSK had gained 150,000 followers. That led to neurodiverse people around the world asking to be interviewed, and soon SBSK demanded Chris’s full-time effort. Now an internationally renowned speaker, Chris is proud that the Special Books by Special Kids community has surpassed 2.5 million members and is the world’s leading neurodiversity movement.